Take the advice of Mother, May I – Etiquette Experts, on how to build “Professionality” in your workplace. Understanding the importance of mindful manners and professional protocol at work will improve your effectiveness and make a difference in your companies’ overall success. We customize training sessions that address the specific needs of your company and organization. Mother, May I (MMI) has made a difference in the workplace experience of many companies and educational institutions. If you want to improve your company’s productivity through professional and civil behavior, then make the first move to connect with Mother, May I (MMI) on LinkedIn, Google+ or through our Facebook page today! Less Managing, More Mannered Moments: This session concentrates on reducing unprofessional or uncivil behavior in the workplace. More than 45% of a manager’s time is spent resolving conflict resulting from employee’s inappropriate behavior…what would it do your company’s bottom line if you could get 50% of that time back? And what better time to start that than early in the year? Summer Internship Slouch: The summer internship has become a vital and competitive commodity for both the intern and the employer. Studies have shown the preparedness level of college graduates to move into the workplace, to be at an all-time low. Mother, May I is here to bridge that gap. Internship programs are the best way to recruit the best full time candidates, so get the most out of the experience by including etiquette and professional protocol training in the internship process. Holiday Guidelines: Reports have proven that the holiday season is a breeding ground for bad behavior. Adecco reports that 4 in 10 Americans, have either done something inappropriate or have witnessed poor judgment at a holiday office party. We can help by training managers and employees on the best way to navigate the holiday season to not end up with a trip to the HR manager’s office. All Aboard Training: On boarding new employees is one of the most important tasks to ensure retention and a positive experience for the employee and employer. Including soft skill training like professionalism and civility will not only set you apart from other employers, but will improve the work experience for all involved. These skills easily transfer to client relationships too. So let’s get the train moving with MMI! Cross Generational Communication: An unprecedented number of companies have 4 generations working under one roof. With that, brings a chasm in communication styles. Inappropriate communication will affect your company’s profitability and productivity. Let MMI help connect those dots, saving you money and time! Dining Dilemmas: Did you know that more than 65% of all business related subjects are discussed over a meal of some sort. Knowing how to conduct yourself during a business function can be a make or break situation. We can train your team about appropriate behavior, from a causal event to a formal business dinner. Business Travel Abroad: We conduct country specific protocol training for your travelling employees. Being coached on a country’s culture before you travel will make the experience more respectful and productive. MMI Consulting – This is an intensive one on one coaching program that can take technically competent employees and make them a professional superstar that will represent your company productivly with appropriateness and grace! Visit the Mother, May I website or call us at 412.251.0712 so we can discuss your company’s needs. Build a better business one “Thank You” at a time! Co-Founders: Mother, May I/MMI Consulting. Bad Manners of 2015…The Year in Review! Here are some manner mis-haps that might help you jumpstart that New Year’s RE-invention list! Respect the word integrity…do you know what that means? Webster’s definition: the quality of being honest and fair… C.S. Lewis was quoted as saying “Integrity is doing the right thing, even when no one is watching”. Tell Tom Brady from the New England Patriots that deflate-gate is not great! Being respectful in politics…Clearly we all don’t see eye to eye when it comes to the political arena, but having the improper body language can make an emotionally charge conversation even more explosive. Tell President Obama & Vladimir Putin that. Respect being a “good sport”… Swiss plainclothes police entered the annual meeting of FIFA, soccer’s global governing body. FIFA executives accused of bribery and corruption. Now that is not setting a good example for any sport. Respect your neighbor… Tell that to actor Tom Selleck who is accused of stealing truck-loads of water from a public hydrant and delivering the precious resource to his 60-acre ranch where he is said to grow avocados. Respect in public places…Pop Star Ariana Grande, after video surfaced, appears to show her licking doughnuts at a shop in California. Local police said the 22-year-old singer and a friend appear to “maliciously lick” the doughnuts that a clerk says they did not pay for. Social Media has a loud voice… Your questionable actions, which 5 years ago may have flown under the radar, now have wings thanks to Social Media. Public shaming trend growing on social media is a bad idea. Tell Donald Trump that! #benice! So as we bid farewall to 2015, we hope that Mother, May I has enlightened you’all on what to do when it comes to professional protocol and mindful manners. While New Year resolutions are driven by positive qualities of hope and optimism, they can also be related to a belief that the year brings a “fresh slate” to reinvent yourself. Did you know that only 8% of people achieve their New Year’s resolutions…? So we like to use the term Re-invention instead. The terms mean to invent again or anew, vs resolving on a course of action. So beside the popular re-inventions like losing weight or saving more money, we think January is a good time to re-invent your professional image and manners. Intention is a good word too… Dr. Wayne Dyer’s bestselling books, describe intention as a key ingredient in making any change possible and positive. So Mother, May I suggests reinventing your Professionality through earnest intention. Understanding that the result here will positively impact your professional and personal lives in 2016! Some studies say 13 days some say 21, and studies have suggested up to 60 days depending on the change to be made. The time varies based on the person and the need to succeed. So we suggest mapping, physically mapping, out you professional improvements and prioritize, tackling the low hanging fruit first. Prioritizing is the first step to help jump start this Re-invention process. What are the most important professional habits you can reinvent to get the best results at work? Preparedness –Being late exhibits that you’re not prepared and again will give off an air to others that their time doesn’t matter. Unacceptable and very fixable! Give a realistic time frame for completing all the tasks on your list. If they involve collaboration, make sure you place and communicate deadlines and allow for a little more time. Always have paper and a pen on-hand. Do not show up empty handed to a meeting. We suggest to have a small notepad and pen at the ready. This gives off the impression that you are ready for the task at hand. As for being prepared for a networking function or last minute meetings/event, use search engines like Google or Bing, to have at least a few factoids in your mental pocket to communicate at the appropriate moment. Active Listening – We always say that you have 2 ears and one mouth and you should try to use them in that ratio. Listening with authentic intent creates a more productive exchange of information, and offers the speaker or your boss the impression that you, the listener, are more trustworthy and competent. Reinvent your “digital” impression – Be an active and diligent participant in managing it! You control your destiny as it relates to your social media impression. Review all platforms on a bi-weekly basis and untag pictures and block or unfriend people who are posting inappropriate things. Most HR executives will check your social media before hiring a candidate…70% of candidates never even get to the interview phase based on what is found on social media. Please let us know your New Year’s RE-inventions and let us know the difference it is making for you at work. You have occasion to tip throughout the year right? The reason why we tip is to show respect to the service provider…so why should December tipping be any different? Well, I guess it is because December is the final month of the year and it gives us all cause for pause to remember the people who help us to get through our lives. But why do we really tip? Take a look at Care.com’s Survey Statistics on Tipping. The survey showed that 17% of people tip because of expectation, compared to 73% who do it to say thank you. About 6% tip out of fear they won’t get good service next year if they’re stingy. Fear should never be a factor in gifting. So…knowing who you should tip, how much and when is important as you are making a positive impression on someone when you do. While gifting is a choice, not giving anything may leave an impression also…so be mindful of the message you may send. First…Make your very own “Nice” list with those people who assist you on a regular basis. What is regular? If you find yourself calling for their assistance more than once a month—put them on your regular list. Make sure you give that “Holiday Thanks” tip in a timely manner. Don’t give your holiday thank you tip at Valentine’s Day. Try to give the gift in person and be sure its presentation is perfect. Don’t stuff a crumply old green-back in the pocket of your handyman. Hand them the gift in a nice envelope or money card with a handwritten note. This all may sound daunting so being prepared will help ease your anxiety. Having the list of people you are thankful for by Thanksgiving, will smooth out the delivery of your thankful tipping before the end of the year. Lists that offer guidelines for tipping should be regarded as suggestions and not rules. So how much is appropriate? Make sure you don’t forget a universal rule-“location, location, location”… Some cities or service areas might have higher tipping amounts. Doorman or that person you say Hello to every morning on your way to work – $15 to $100. This one really depends on how often that person helps you beyond opening the door for you. Hair and Nail Techs – up to 1 appointment cost. Even if a cash tip isn’t possible, send a hand-written note or a homemade food item. Pinterest is a good resource for some great holiday treats! Please let us know where your mindful tipping made a difference for those you count on. Hey Boss, Is that Mistletoe? Before you make grievous errors in judgement at your holiday party and plunge headfirst into the punch bowl, remember you’re still at work. And remember to practice our tips on leaving the best impression on your colleagues in 2015. 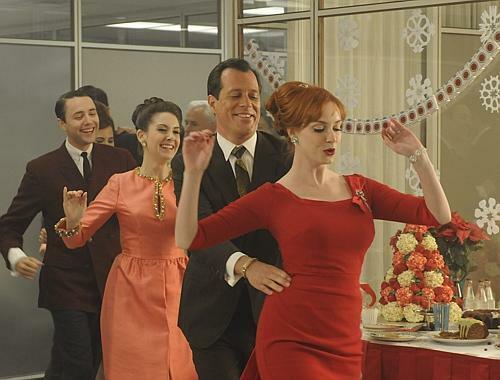 40% of coworkers said they have either done or witnessed an inappropriate act at the company’s holiday gathering. Many of the year’s firings happen after such a gathering. Let Mother, May I help you not be part of that statistic. May I wear the same clothes to the “holiday” party? Should I bring a gift to the organizer with me? May I bring a colleague who is looking for a job at my company? Can I bring some mistletoe and hang it near the beverages? May I use this setting to ask that girl with the curly hair out? Can I bring my own beverage of choice? May I talk about my progress at work with my boss? Can I make a toast during the “holiday” party? May I ask to take a “doggie” bag of leftovers? May I wear the same clothes to the “holiday” party? Sometimes. Its okay to wear the same work clothes, if the party is during work hours, and is held at your workplace. If the party is outside of work time, and held at a different location-then take some time to wear a “holiday” appropriate outfit that best represents you. Should I bring a gift to the organizer with me? Not at the party. The gesture of bringing a gift is nice, however now is not the time. Be sure to send a thank-you note immediately after the party. Your host is going to be busy hosting, and will not have the time to accept your gracious gift. May I bring a colleague who is looking for a job at my company? It Depends. Unless the RSVP requested bringing your spouse, mother, immediate family member, you may not bring a guest. So, you carpool with someone-have them make other arrangements. Can I bring some mistletoe and hang it near the beverages? No, you may not bring anything unless a specific request is required-such as a gift to toys for tots, or a potluck dish. May I use this setting to ask that girl with the curly hair out? Definitely Not, this is not the time to find love. If you’re serious about your job and career, you’ll keep your love life separate from your work life. Can I bring my own beverage of choice? No, you may not bring your own beverage of choice. Be respectful to your organizer, and enjoy the venue they provided. May I talk about my progress at work with my boss? No, Leave work at work. Bring a good attitude and smile throughout the party. People will find you approachable. Can I make a toast during the “holiday” party? No, not necessary. The holiday party is not your platform to be recognized. Mingle amongst everyone and mind your manners when making introductions. May I ask to take a “doggie” bag of leftovers? No, do not be tempted to take those delicious leftovers. AND DO NOT try to leave with a drink in your hand. Unless, there is a “take” away gift-the last thing to do is thank the host-Say good-bye to your boss, and leave a lasting good impression. Please enjoy this time of the year by making your best impression and good memories. For more expert advice, be sure to take a look at another blog we’ve written that reached you How to Stand Out at Your Holiday Party. If you have a specific question for us, don’t hesitate to reach out directly, and please email us at info@mothermayimanners.com. We promise to answer quickly as we know those holiday parties are around the corner! Christmas, Hanukah, Kwanza …oh my. This time of year is filled with joy, friends, family, fun and STRESS! Coping with holiday stress is important… that includes mindful gift-giving. Do I give gifts to my co-workers? To my boss? To my staff? Can I re-gift? Trying to find the right gift for people you really know can be tough let alone people you just work with. So we have several mindful suggestions when it comes to gift exchanges at work. First off find out if your office is gift exchange friendly. The rules tend to be workplace specific. Some aren’t for ethics considerations. Understand and stick to the spending criterion. The worst thing you can do is to go over the spending limit while others have not. There are other fun ways to exchange, like a grab bag or a White Elephant exchange. If you are considering adding your boss to your gift giving list year tread carefully. It isn’t all that common and if you want to give your boss a gift you need to think about the consequences. The risk is that your boss might see it as trying to twist the relationship and get an advantage. Do your homework…research the history of gift giving in your office. Do other employees give gifts to the boss? If so what kind? Be sincere… The best reason to give your boss a gift is to thank them for a specific act of kindness. Don’t get personal… The worst gifts to give are either expensive or personal. Rule of thumb – Don’t give something that touches the body. Buy a group gift… Agree on a budget, get consensus from the group and voila…everyone is happy. Some companies don’t allow gift giving, so check the employee policy guide before you get your credit card out. Make things equitable for all employees at the same job level…everyone should get the same monetary value gift. Know your employees…Muslims don’t typically drink wine, vegetarians probably don’t really want that ham at Christmas and giving a diabetic a whole tin of Mrs. Fields cookies, will leave the recipient feeling that they have been treated impersonally. But keep in mind, most people would rather get a financial bonus or a paid day off than whatever gift a company chooses for them. And what about re-gifting? There was a stigma surrounding this practice but today it has taken on a new purpose…a re-purpose! But you need to be mindful, so here are some Mother, May I tips to help your re-gift is the perfect gift! Re-gift with a thoughtful purpose, making sure the gift is meant for that particular person. The gift needs to be new and unopened. Be sure to unwrap the gift and rewrap it for the new recipient. Do not embarrass yourself by leaving a card addressed to the original recipient inside the packaging. Avoid re-gifting where social worlds might collide. If there are 6 degrees of separation, then be sure a misguided repurposed gift may not bring that separation closer. It is green to re-gift. Better for that gift to land in a worthy persons’ hands than in a landfill somewhere. Can’t think of the perfect recipient? Donate it before tossing it in the trash! Another option for all of these gift giving scenarios is a donation to a co-workers favorite charity on their behalf…this is always a good deed. Show your professsionality this holiday through mindful giftgiving… share some of your best or worst workplace gifts on our facebook page or respond to this blog.